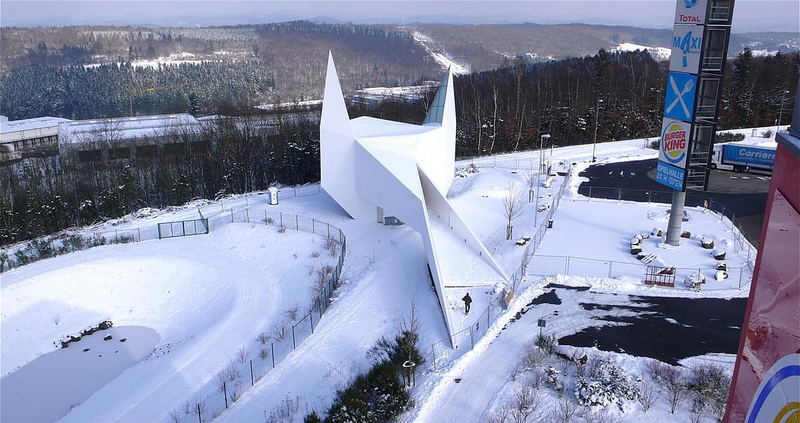 HomeBlogArchitectureSiegerland Motorway Chapel by Schneider + Schumacher. 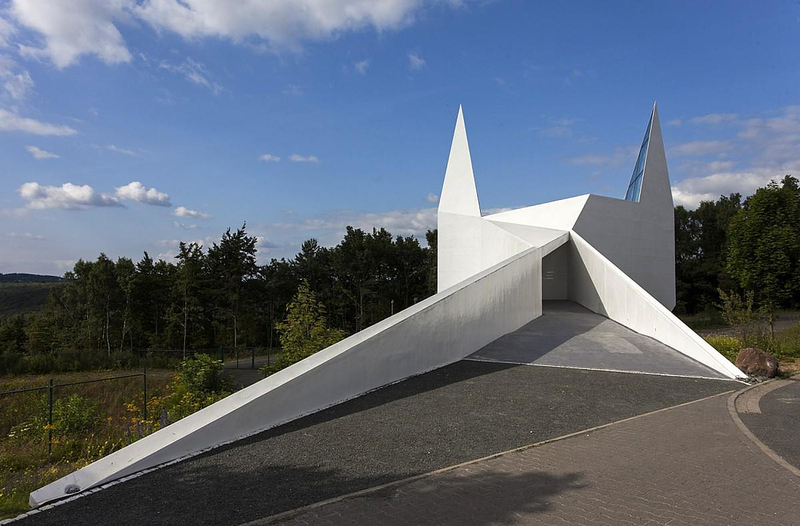 Schneider + Schumacher architects created the Siegerland motorway chapel alongside the A 45 motorway in Wilnsdorf area, Germany. 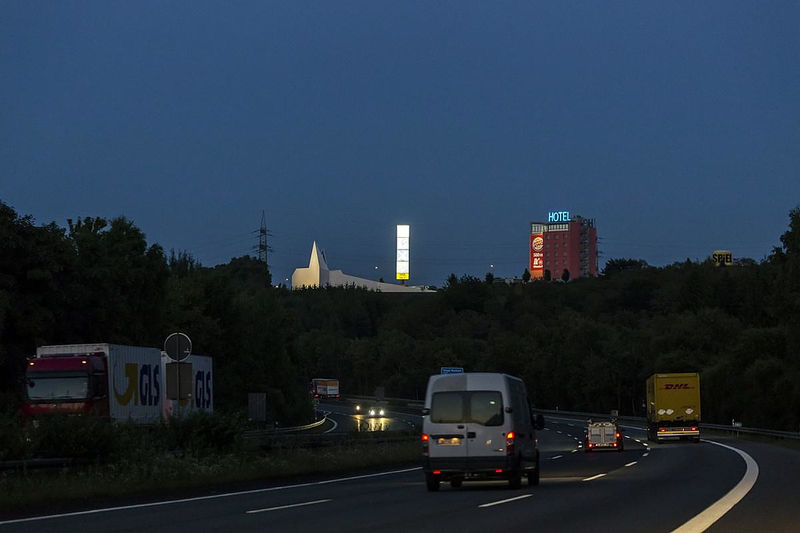 This building typology is trending in Germany and similar chapels grow like mushrooms in the banks of motorways giving travelers a special kind of roadside attractions and rest places. 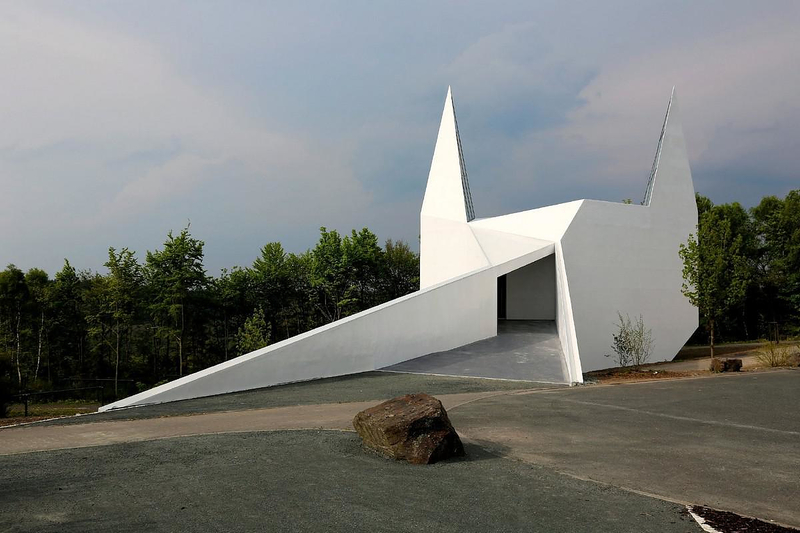 The Siegerland Chapel is the 40th in Germany. 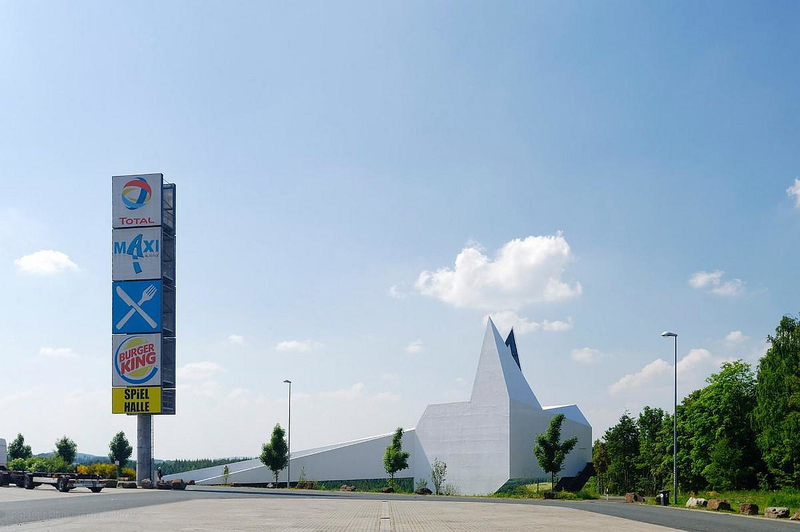 Professor and architect Schumacher defines the design problem: along the motorways one can find rest places for refueling, eating and sleeping. 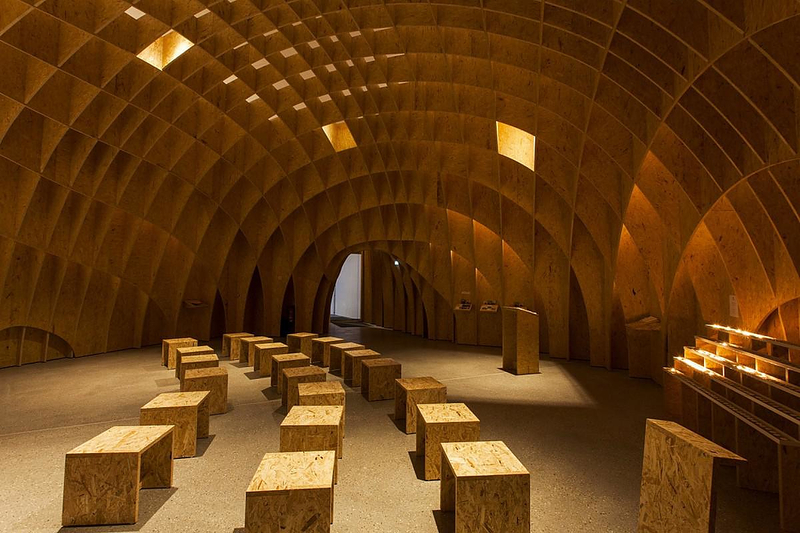 All of these places are usually similar to one another and lack of one basic feature. 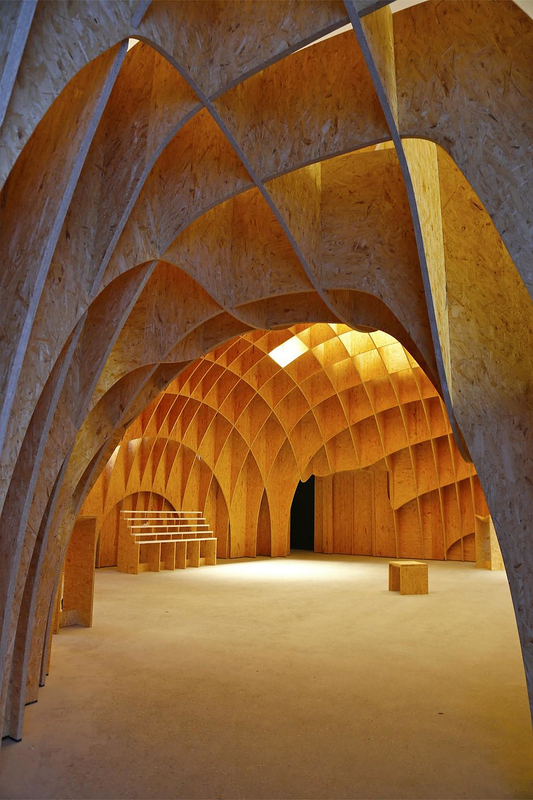 They lack of places for the equivalently basic human needs of concentration, relaxation and quietness. 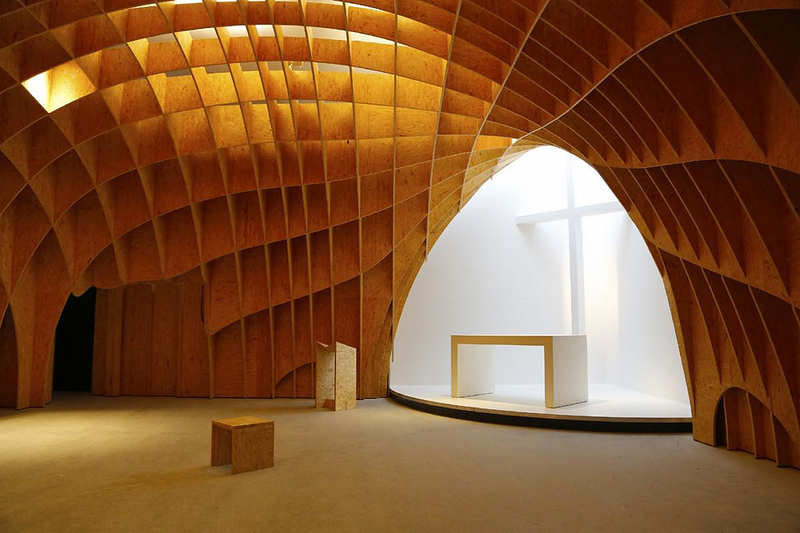 Based on this, Schneider and Schumacher created a chapel (2009-2013) with an intense iconic character and a surprisingly peaceful interior. 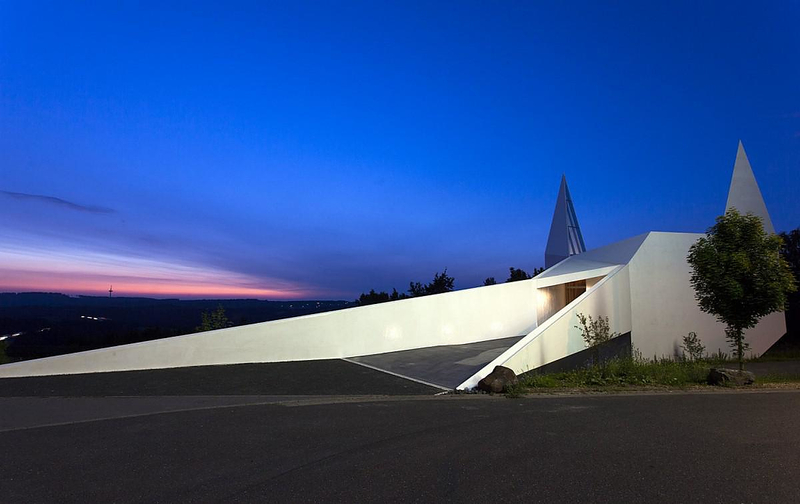 The exterior shell features sharp, clean lines and a bright white color to make it stand out from a distance. 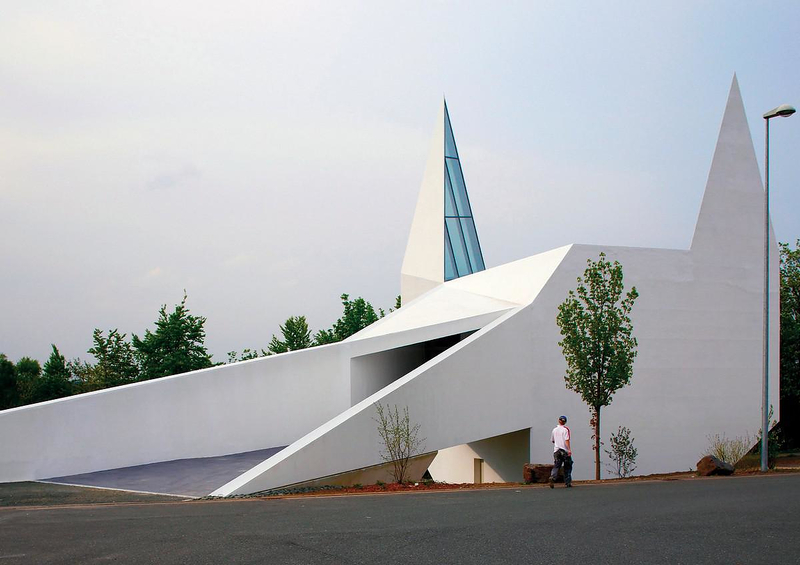 The building’s shape is the typical outline of roadside chapel met all over the country. 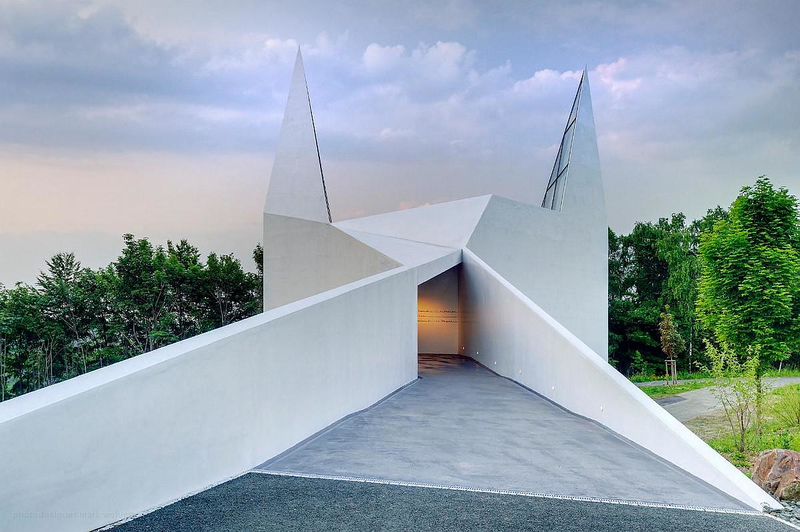 The chapel forms a basic rectangular shape that includes an inner dome-like shape and two pointy ends – inspired by chapel spires. 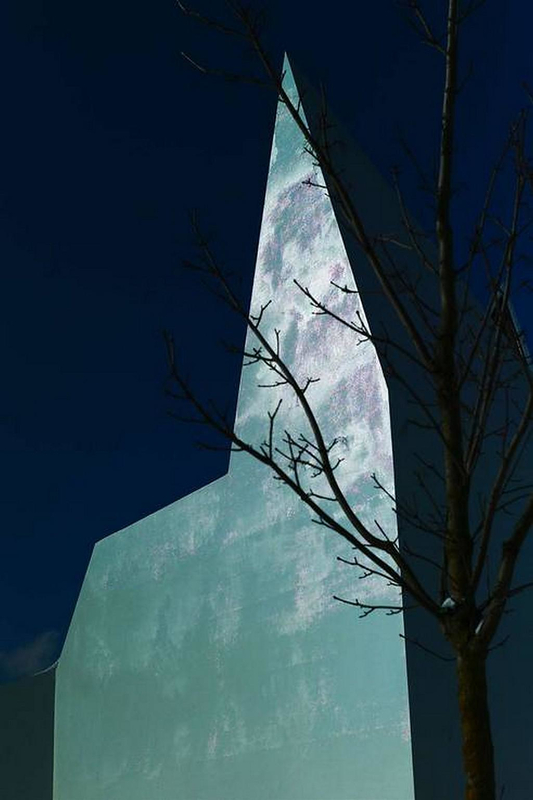 From the road’s point of view, while approaching from either direction, the viewer sees a familiar chapel shaped outline on the horizon. 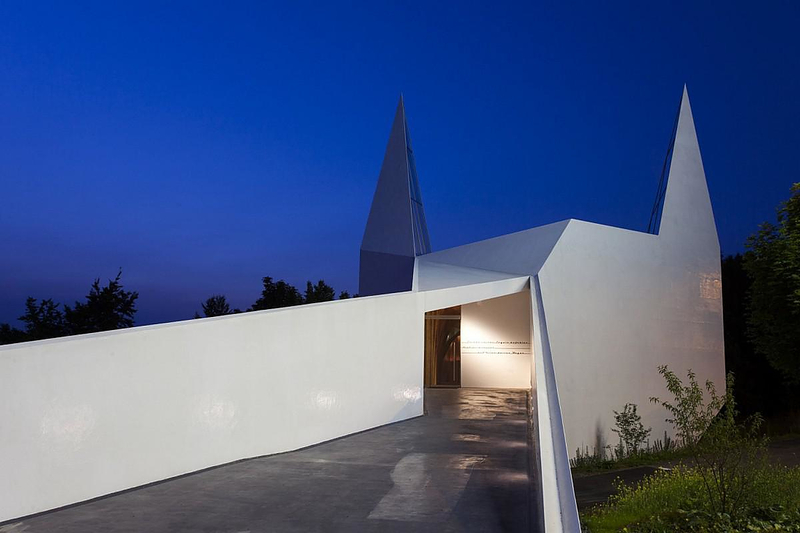 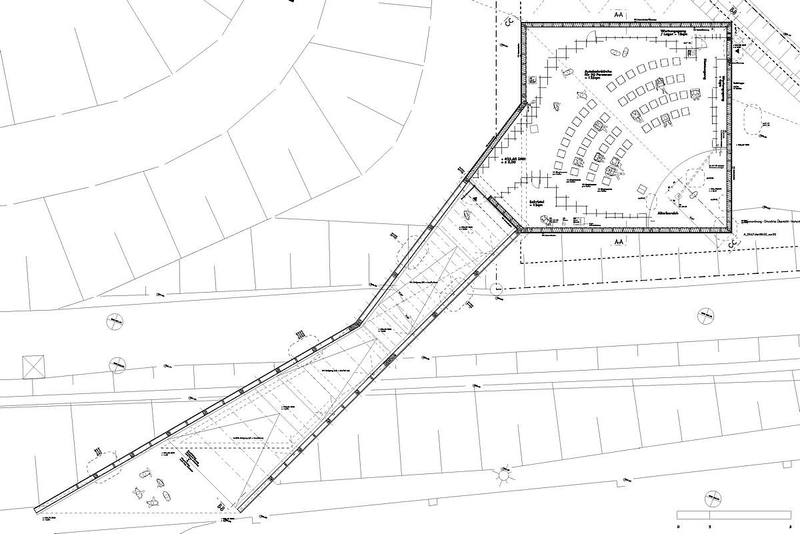 The entrance is an extension of a road crossing and uses its length to gradually encapsulate and isolate from external sound the visitors. 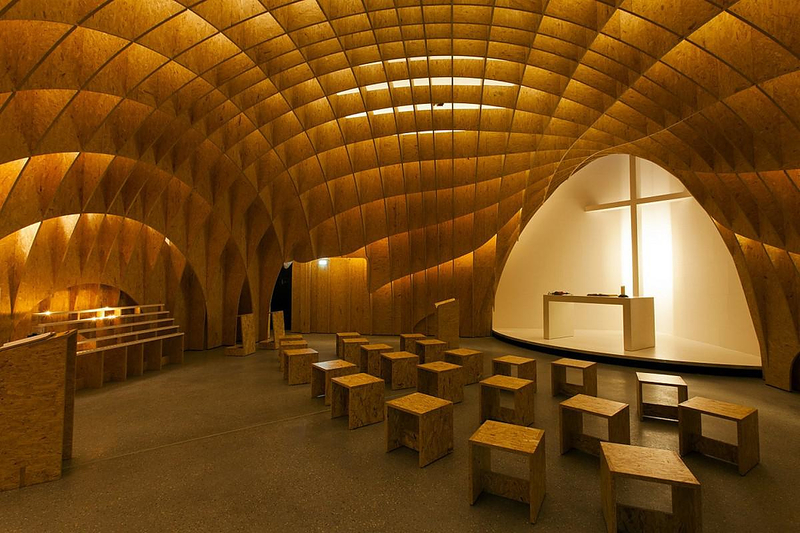 The interior space is defined by a wooden dome and ceiling lighting enhancing a warm and welcoming atmosphere. 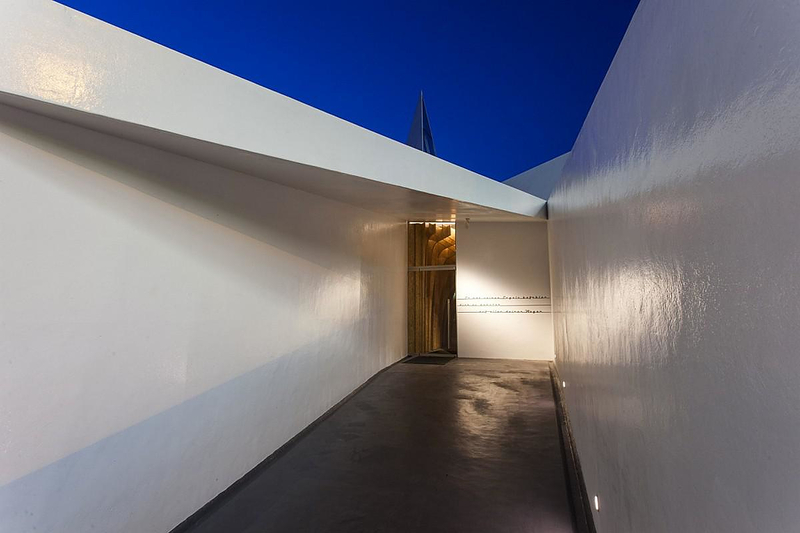 The spires work as skylights adding natural light to the interior. 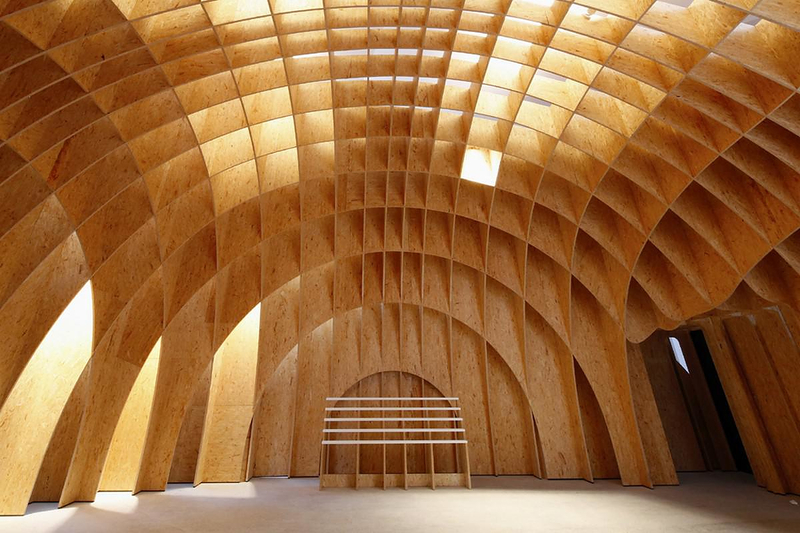 The dome is a self-supported wooden beam construction consisting of 66 semi-circular frames made of 650 different pieces. 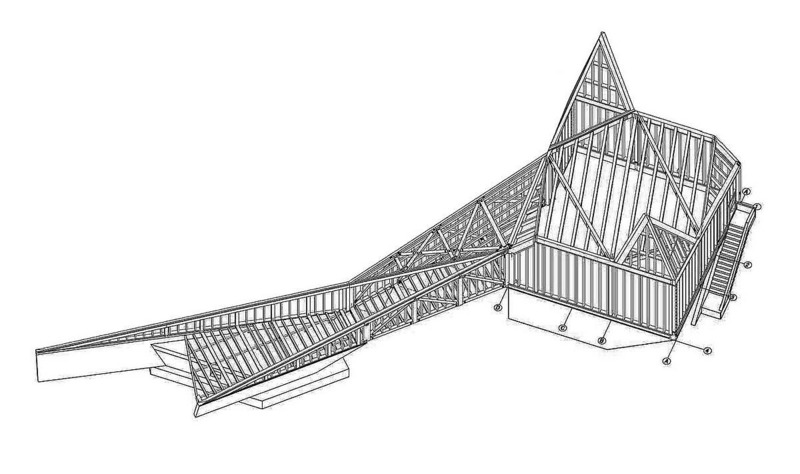 The pieces were clasped together forming a supporting grid. 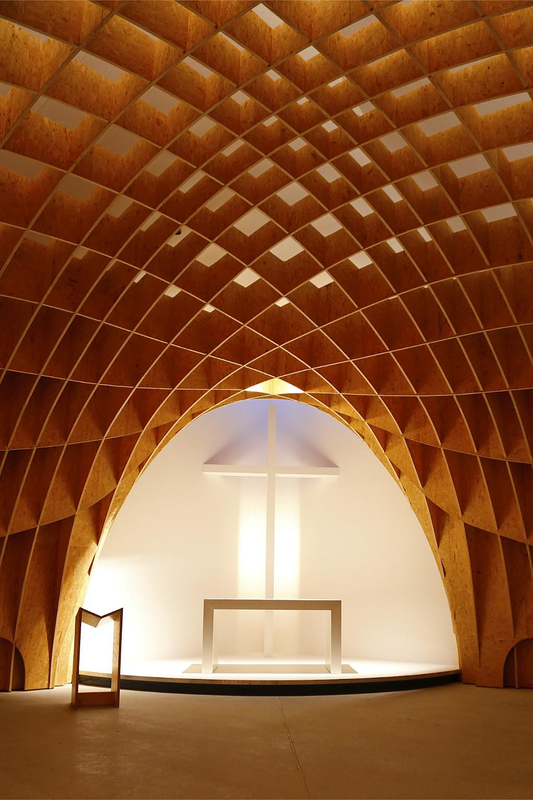 To create unity of the interior components the same type of wood used for the dome was used for the furniture and finishing inside the chapel. 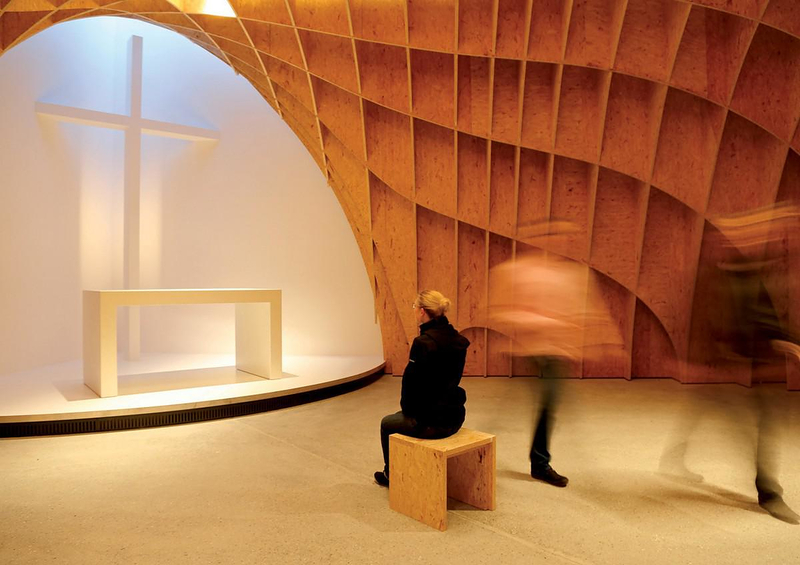 Only the altar is in white to create a sense of immateriality. 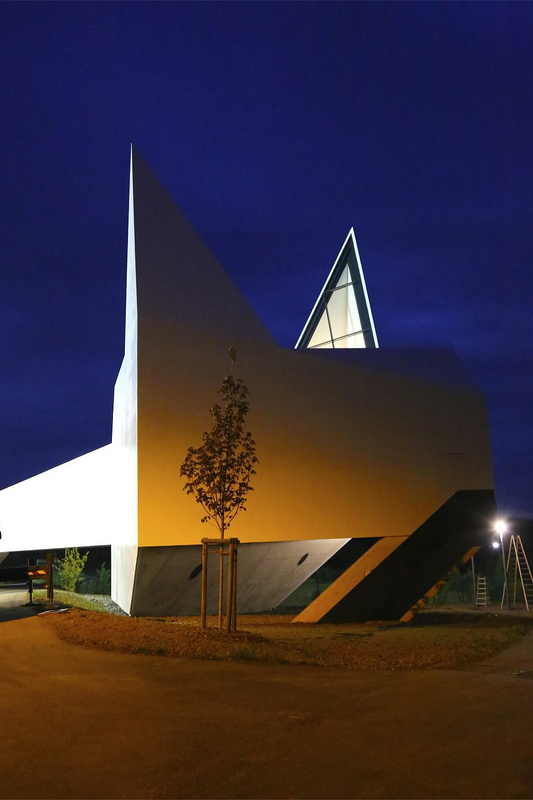 The lighting was specially designed to enhance this impression on both the interior and exterior. 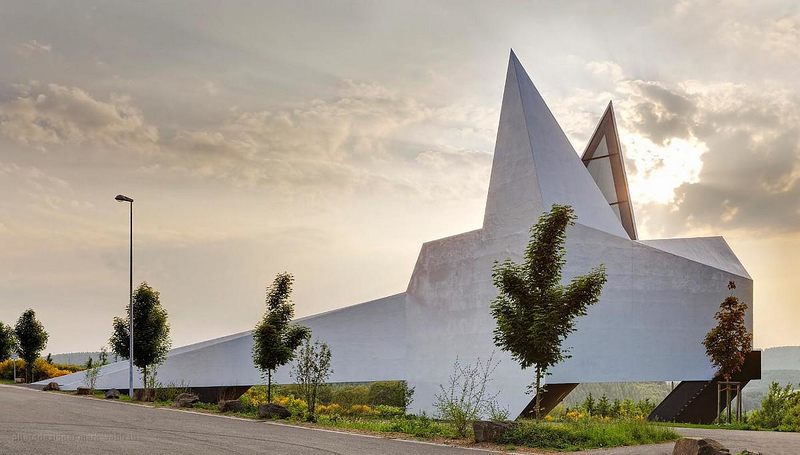 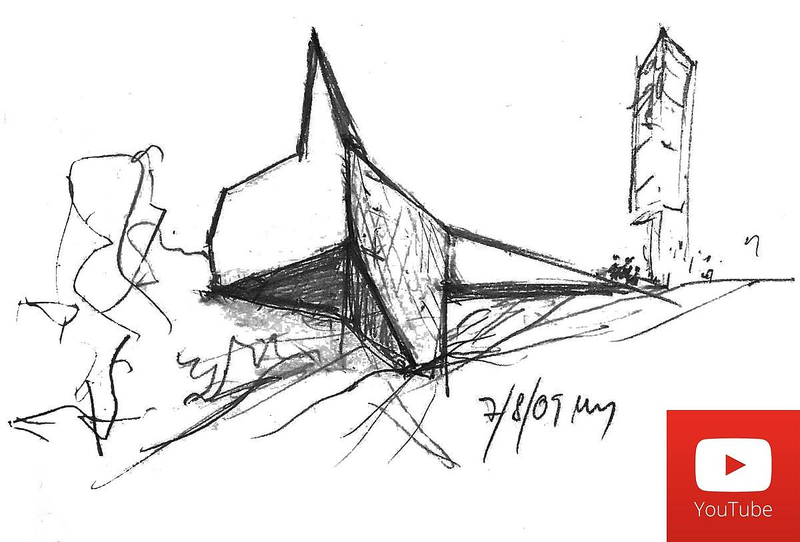 For more information about the Siegerland motorway chapel project that we respectfully believe could also be Batman’s summer lair in the Aegean, you can watch corresponding video by the architect.